Horus Hersey 5 - Tempest, introduces updated rules for battles in the age of darkness. The book clarifies and resets the core rules for 30k. These changes have a fairly profound effect on Raven Guard due to changes in scoring units and winning criteria. - Sudden victory is more extreme in 30k than in 40k. In 40k sudden victory is achieved if a side has no models on the board at the end of a game turn. In 30k, if a player has no models on the board at ANY time it's a victory. 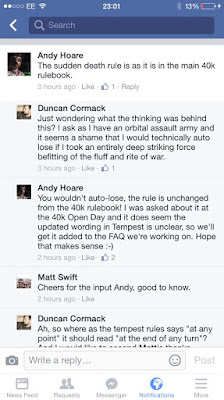 This means there are no "Null deployment" armies in 30k, and if you wipe out what's on the board, the game is over. So for Raven Guard this impacts us in two ways. The first being that we cannot field all drop pod forces and go second and there is a lot of risk to going flier heavy. The second being that we have the opportunity to alpha strike armies off the table in turn 1. Not exactly friend making material, but for tournies... The rules are the rules. Beyond Sudden Death Victories, the major update is regarding units that score. 1. Scoring units do not deny other scoring units. 2. Drop pods that become immobile when they come in do NOT deny. 3. Scoring units are not denial units, but they do deny scoring units from scoring objectives. 4. Scoring units in a transport DO score. See page 80 under "embarking". Range measured for a unit in a transport (except for shooting) is measured from the hull. 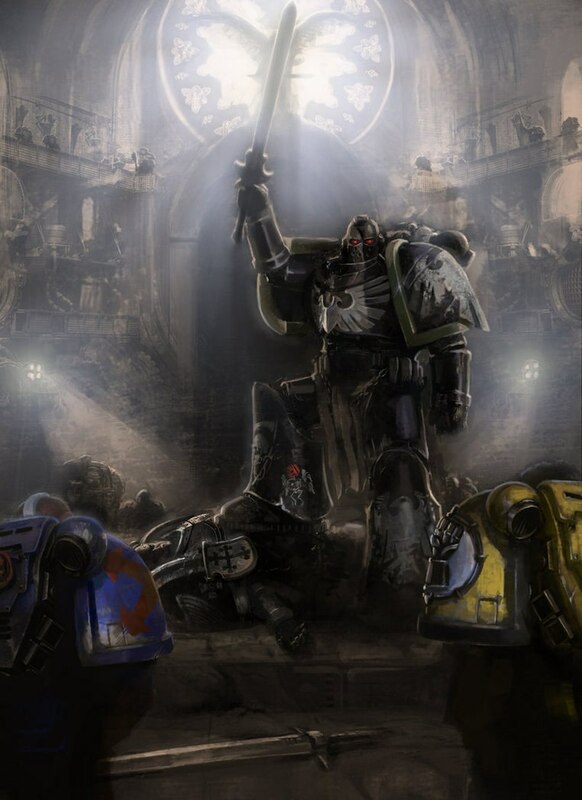 In general, Raven Guard get nerfed a bit by the new rules. Losing, null deployment armies, light deployment armies, scoring transports and denial drop pods fundamentally changes army building for RG. Instead point out there mistake at deployment. In most cases, their game plan and list is probably so shattered at that point that you will likely win, and with Maun and Decapitating strike you are in a great position to truly smash people with turn one Alpha strikes. Lists trying to achieve this won't be popular, but it does make telepathy librarians and death wind drop pods a little more interesting. It should be noted that Forgeworld is expected to fix the Sudden Death Victory conditions to the 40K version in the next FAQ.